Segsbury Castle in Oxfordshire, England. 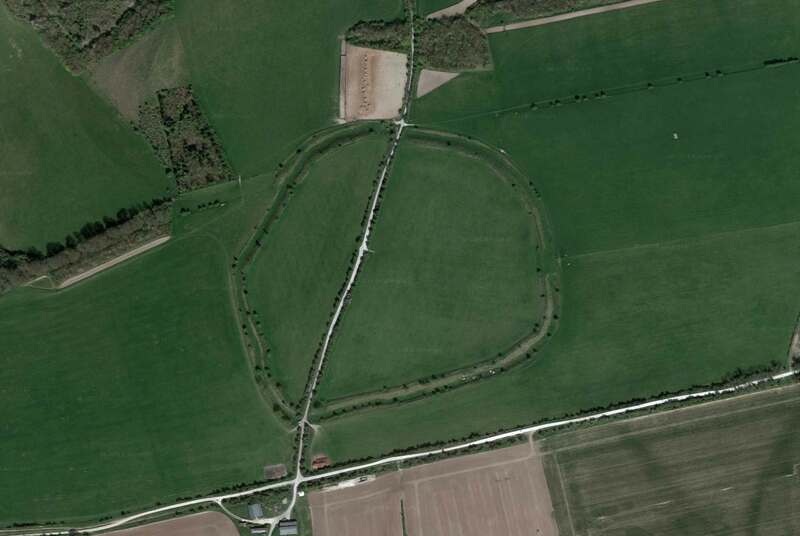 Segsbury Camp or Segsbury Castle, also known as Letcombe Castle, is an Iron Age hill fort on the crest of the Berkshire Downs, near the Ridgeway above Wantage, in the Vale of White Horse district of Oxfordshire, England. 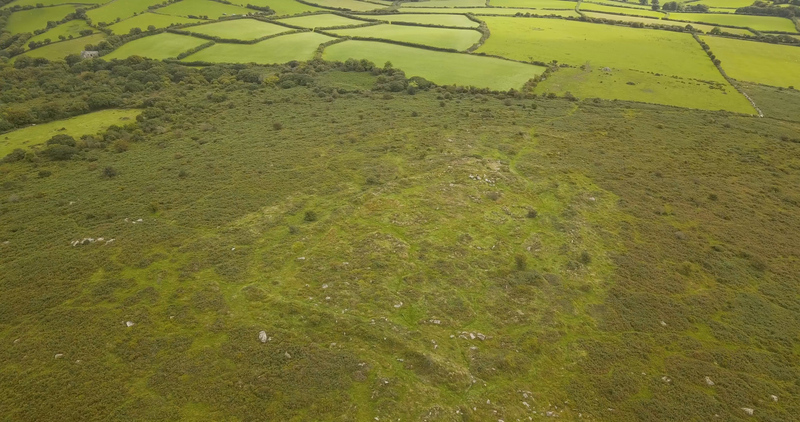 This iron-age hill fort is thought to have been a reasonably large settlement and communal centre for various activities including sheep management and exchange. Today, it is still possible to see the extensive ditch, ramparts and four gateways. The fort is a short walk from the Ridgeway National Trail, and can be visited as part of the Devil’s Punchbowl and Segsbury Camp Circular walk. Archeological investigations of Segsbury during the 1990’s revealed a plethora of evidence for human activity in the fort interior and just outside it to the south-west; pits, gullies, post holes, possibly hearths, and finds of iron all suggested that there was a substantial settlement here. The construction of the fort has yet to be dated, although the evidence implies that it began around 6-700 BC with a rampart fronted by a wooden palisade and backed by chalk, which was typical of the era, with two modifications added over the following centuries, the last around 200 BC. The fort may not have been continuously occupied during this period, but there is evidence to suggest that there was life here at around the time of the Roman Conquest of 43 AD; pottery of the era has been found on the site, and it is possible that the road driven through what is now the southern entrance is Roman in origin. The fort has extensive ditch and ramparts and four gateways. Excavation at the site by Dr Phené in 1871 discovered a cist grave on the south side of the hill fort rampart. The grave was floored with stone slabs and the sides were walled with flint. Finds included a shield boss and fragments of an urn or drinking cup. Among other finds were human bones and flint scrapers. It has been suggested that this was a secondary Anglo-Saxon burial, placed at the camp. Further excavation was carried out in 1996 and 1997. The report on this work describes the periodic occupation of the hill fort between the 6th and 2nd centuries BC and suggests that it was a communal centre for various activities, including sheep management and exchange. Summary: Overlooking the village of Letcombe Regis on the chalk escarpment with the Ridgeway nearby to the S, a roughly circular contour fort of c.10.7ha. Mentioned in Aubrey’s Monumenta Britannica (1665-1693), on Roque’s map of 1762. Univallate with ditch for the entire circuit, cut by road creating breaks through the rampart to N and S. Out-turned entrance to the E with hornwork, possible blocked entrance to the SW. Has been deeply ploughed in the interior, ramparts in good condition. Geophysics by English Heritage (Payne et. al. 2006), excavation in the interior, rampart and E entrance in 1996 and 1997 (Lock et. al. 2005). Evidence for pits, roundhouses, environmental, artefacts, dated to c.600 – 200 BC from stratified pottery. A study of the wider area suggests considerable pre- and post-hillfort activity (Levick 2015).